I’m always delighted when Pancake Day comes around, this year especially so as I have a proper American pancake skillet. 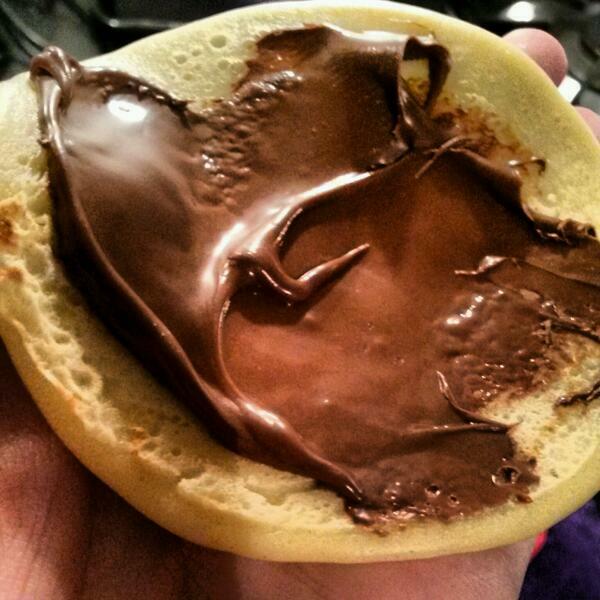 No excuse for rubbish pancakes! If you are at all into pancake making, I can’t recommend one enough. It’s particularly fantastic for making crepes with – so much so I am now tempted to buy one of those little wooden things you see the folk in crepe huts using to spread out the batter! Of course to avoid rubbish pancakes you need a fool proof recipe and this year I decided to give Chef Chris Thompson’s method a go. He is Head Chef at The Pantry, a lovely little cafe on the way to Stockbridge in Edinburgh. You can read my review of The Pantry here. This recipe makes smaller and slightly thicker, sweet pancakes, aka dropped scones. In case you haven’t made pancakes before, it’s as simple as mixing everything together in a bowl! When following recipes I often find that the quantity of milk can leave your mixture too runny, and I really like Chef Thompson’s description – I knew exactly what consistency I was looking for and I just added the milk bit by bit until my mixture was similar to “lightly whipped double cream”. I made sure my skillet very hot and spooned on a ladle full of mixture. 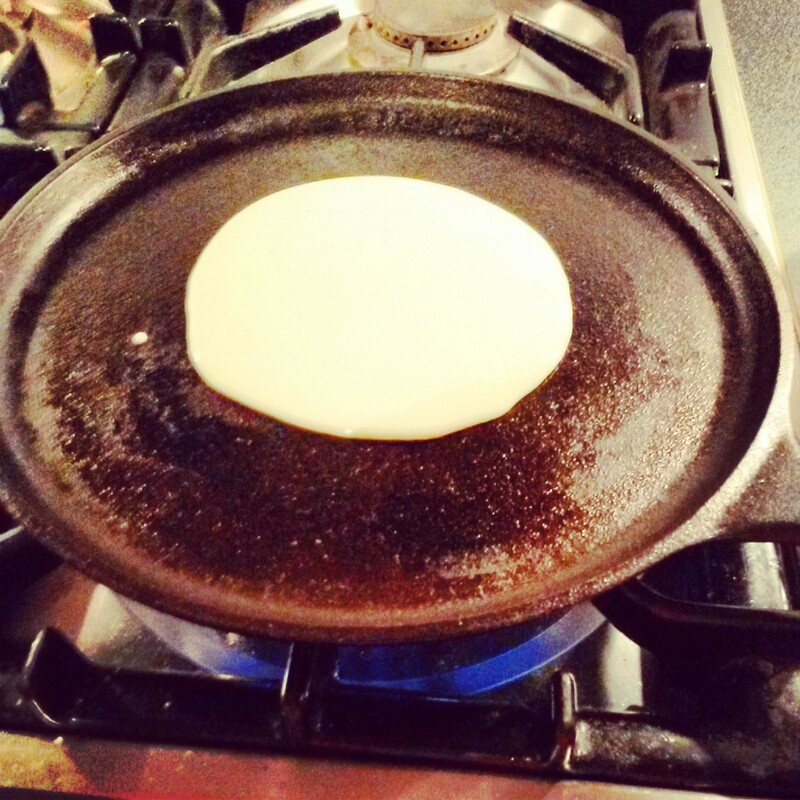 It didn’t take long at all (1 min at most) to see little bubbles forming on the top of my pancake – time to flip! The same amount of time on the other side and et voila, pancakes are ready. 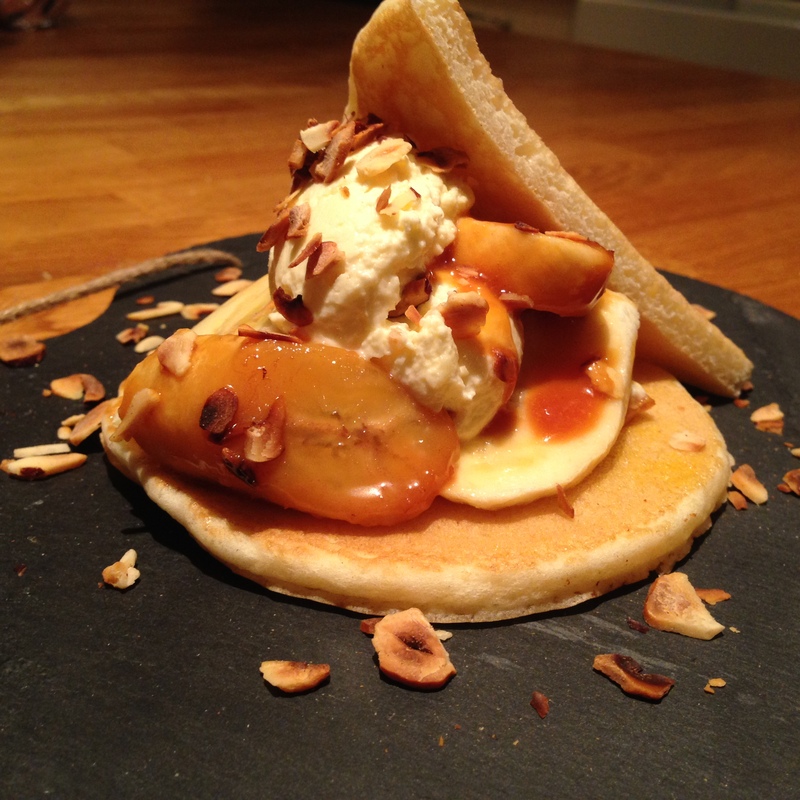 As you can see, for my topping I stuck to Nutella (in my eyes, classic and delicious), but if you are feeling more adventurous Chef Thompson suggests Banoffee Split pancakes, look delicious. Recipe below. Enjoy pancake lovers!